Lists made, budgets set, coffee in one hand and smartphone in the other! Are you ready for the holiday shopping season? How many times have you heard friends brag about great deals they found on Black Friday? This year, you can get in on the savings action starting with your smartphone! 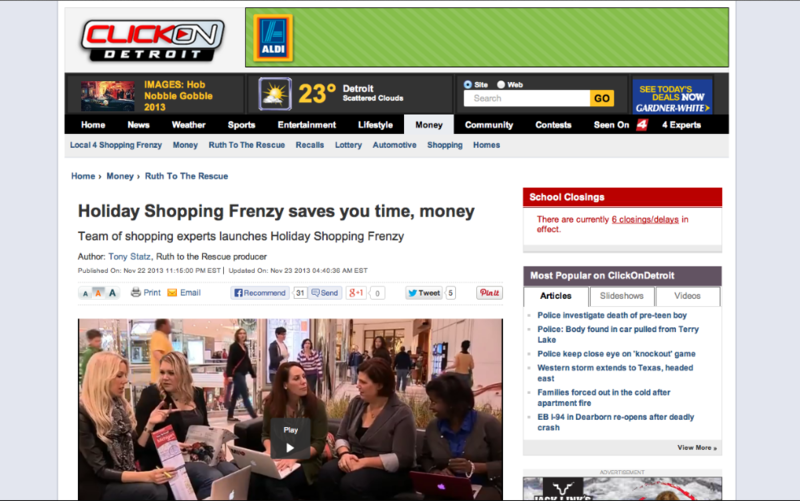 Whether you’re a veteran bargain hunter or a Black Friday novice, ClickOnDetroit is part of a huge holiday shopping event the week of Thanksgiving. Don’t forget, we’ll be tweeting deals through Cyber Monday so stay tuned on Twitter with #Local4Shopping.